Accentus Music has recorded the concert featuring the Latin Grammy winners Gabriela Montero, the YOA Orchestra of the Americas and conductor Carlos Miguel Prieto. Together, they performed Montero’s “Latin Concerto” and Ravel’s Piano Concerto along with other works. The concert, which took place in the Teatro del Lago in Frutillar, Chile, one of the most exceptional concert halls in the world, can be viewed on Arte Concert until January 11, 2018. For more information, click here. The Beirut Art Film Festival will be screening our documentary “Zhu Xiao-Mei – How Bach defeated Mao” (click here to view the trailer) on November 18th at 7 p.m. For more information about the screening and the festival, click here. At the closing concert of the Lucerne Festival 2010, the Wiener Philharmoniker performed Maurice Ravel’s probably most famous piece of music under the baton of Gustavo Dudamel: the Boléro. The video of the performance can be viewed on YouTube in full length. For more information about the production, click here. On the occasion of Isang Yun’s centenary the Hochschule für Musik und Theater Leipzig screens our documentary “In Between – Isang Yun“. The film will be shown on October 17th, 11 a.m, at the Orchesterprobesaal, Grassistraße 8. Afterwards there will be a round table together with director Maria Stodtmeier, Heinz Holliger and Wolfgang Sparrer. Admission is free. The Goethe-Institut in Chennai, India, will be screening two Accentus documentaries in its auditorium. “Maestras – The Long Journey of Women to the Podium” (SRF) and “Ayham Ahmad – The Pianist of Yarmouk” (ZDF) will be screened at the Heartland Film Festival in Indianapolis, USA. Moreover “Maestras” (directed by G. Atteln/M. Stodtmeier) will be in the running for Audience Choice Awards as well as for Best Premiere Awards. The films will be shown one after another on October 16th and 17th. Both will be premiered in the US. For more information about the festival and the screenings click here. On the occasion of Isang Yun’s centenary the Musikhochschule München screens our documentary “In Between – Isang Yun“, directed by Maria Stodtmeier. The film will be shown on November 11th, 7 p.m., at Großer Konzertsaal, Arcisstraße 12. Admission is free. 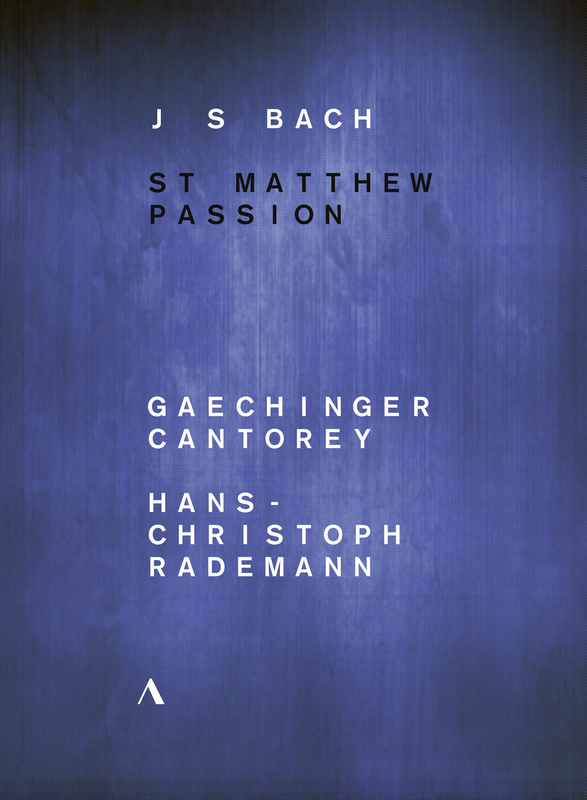 During the Musikfest Stuttgart, on August 28th at 7 p.m., the Internationale Bachakademie Stuttgart will be screening our new production: Bach’s St. Matthew Passion performed by Gaechinger Cantorey and Hans-Christoph Rademann. The concert was filmed at the beginning of this year and will be officially released this September on DVD. For more information about the screening click here, for more information about the new DVD click here. The Lucerne Festival Orchestra and its music director Riccardo Chailly will be performing parts of Mendelssohn’s A Midsummer Night’s Dream as well as Tchaikovsky’s Manfred Symphony on Friday, August 18, at 7:30 p.m. The concert in the KKL Lucerne will be streamed simultaneously on Arte Concert. 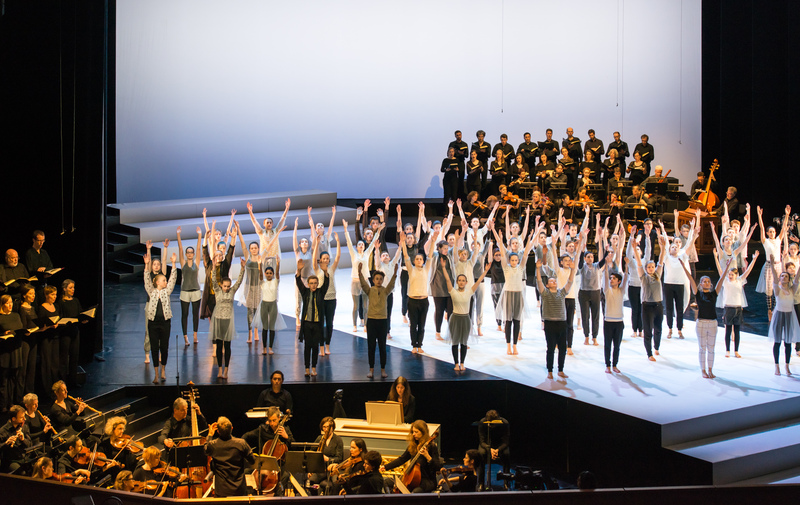 On the same day, SRF 1 will be broadcasting the concert at 10:25 p.m. Later in August, on the 27th at 6:20 p.m., Arte is presenting the performance of the Manfred Symphony. Accentus Music is delivering the live video stream of the Lucerne Festival’s opening concert on Friday, August 11th, at 6:30 p.m. The ceremonial act which is going to take place in the KKL Lucerne will be streamed simultaneously open-air at Lucerne’s Inseli Park as well as on Facebook Live. The Lucerne Festival Orchestra and its music director Riccardo Chailly will be performing three symphonic poems by Richard Strauss: Thus Spoke Zarathustra, Death and Transfiguration as well as Till Eulenspiegel’s Merry Pranks.